Electric Emergencies Always assume downed power lines are energized and dangerous. Consider any object touching lines energized as well.  Please report downed power lines to The Energy Cooperative at 1-800-255-6815 and local emergency authorities. Natural Gas/ Propane Emergencies Natural gas AND Propane in their original state are odorless; we add an organic compound called Mercaptan before the gas is delivered to your community. The compound has a distinctive smell like rotten eggs to alert you to the presence of natural gas or propane escaping in or around your home. If you are a natural gas or propane member of The Energy Cooperative experiencing a gas emergency or damage to your service, please exit the area and move to a safe distance before placing a call to our control center at 1-800-255-6815. Our employees are on call 24 hours a day to respond to emergencies. Keep a safe distance from overhead lines. They are not insulated, so they are placed overhead and well out of reach or underground. Always assume downed power lines are energized and dangerous. Consider any object touching lines energized as well. Please report downed power lines to The Energy Cooperative at 1-888-535-5732 and local emergency authorities. If your car comes into contact with an electric pole, stay inside! If a power line falls on your vehicle STAY INSIDE the vehicle unless you MUST exit due to other safety threats. Warn people to stay away and to not touch the vehicle. Call or ask someone to call 911, then (888) 535-5732. If you must exit the vehicle, jump free and clear! If you must exit the vehicle because of fire or other threats, open the vehicle door. Do not step out! Jump free and clear of the vehicle, keeping both feet together. Once clear of the vehicle, shuffle in small steps at least 50 feet away, with both feet on the ground at all times. Your Neighbor Has Power. Why Don’t You? Sometimes, you may see a neighbor’s lights come back on while you are still without power. There can be several explanations. Different parts of your neighborhood may be served by different circuits. Your neighbor’s electricity comes directly from a primary line, which is restored first, while your service may be served off a secondary line. There is a problem with your individual service line or your meter. Whatever the reason, here are ways you can make sure we know you are still without power. Outages are listed by county and updated every five minutes. The Outage Viewer provides general locations for the outages to protect our members. Why Should You Contact OHIO 811? If you’re planning a landscaping or construction project around your home in the months ahead, simply call the Ohio Utility Protection Service (OUPS) at 811 or 1-800-362-2764 – call two business days before you start. Your call alert us and other utilities of your excavation plans, and gives us the opportunity to notify you or mark where underground utility lines are located on your property. This free service can help protect you from personal injury or property damage, and prevents interruption of your natural gas and other utility service. Whether you operate heavy equipment or use handheld tools, when you work around power lines and natural gas pipelines remember to be safe. On the job site, always be aware of electric power lines and gas pipelines. Be safe — 811 before you dig. According to Ohio law, excavators and contractors should contact OHIO811at least 48 hours but no more than 10 working days (excluding weekends and legal holidays) before beginning any excavation project.